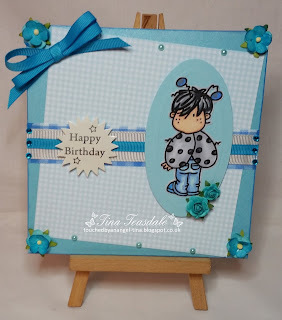 This post today is a special one as it is my first make as part of the Crafters Cafe Design Team, Im delighted to have been asked to join such an amazing bunch of crafters, so without further ado here is a card that I have created for the challenge and I hope that you like it. 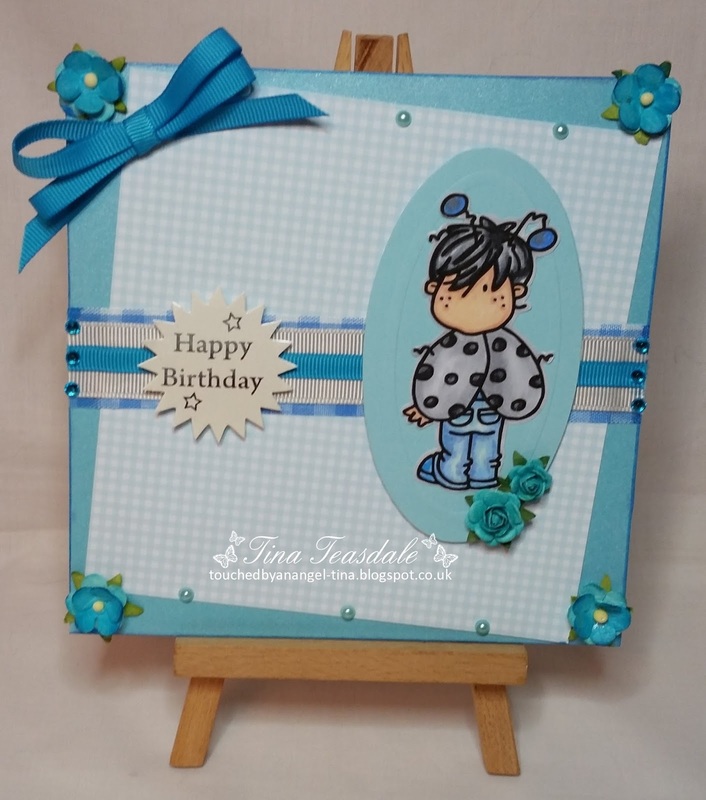 I took a 6x6 card blank and layered it with plain blue card inked around the edges and gingham card with ribbons layered across the centre. 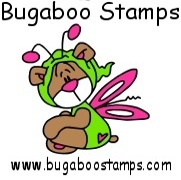 The topper has been created from the gorgeous Brats Bugs Boy Ladybug image from Buggaboo isnt he just the cutest! I colored it in with a selection of Copics. To finish I added a sentiment, ribbon bow, flowers and some self adhesive pearls. Please pop along and join us over at the challenge blog we would love to see you.